Most of this volume was extracted by the state-owned company Ukrhazdobycha. 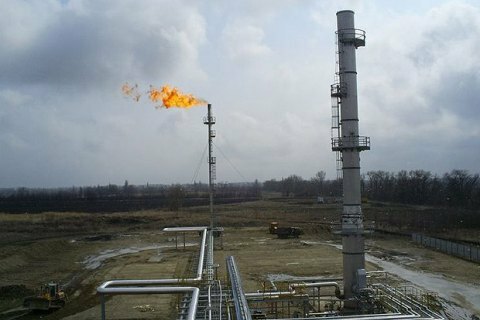 There was a slight increase in natural gas production in Ukraine, up to 20.89 cu.m., in 2018, the gas transport network operation Ukrtranshaz has reported. It specified that in 2018 the state-owned company Ukrhazdobycha extracted 15.42bn cu.m. of gas, the largest oil extraction company Ukrnafta, 1.078bn cu.m., and private gas extraction companies, 4.392bn cu.m. In 2017, Ukrhazdobycha increased gas production by 4% up to 20.8bn cu.m. Prime Minister Volodymyr Groysman earlier said that Ukraine needs to increase gas production by 1bn cu.m. per year to "ensure independence from any import". Ukraine's demand for imported gas currently exceeds 10bn cu.m. per year. Poroshenko in New Year address: "The worst is behind"